#8 double ball bearing swivels rated at 180kg. 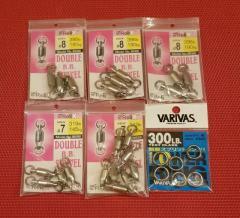 #7 double ball bearing swivels rated at 145kg. 1 packet has double the quantity.